We are huge supporters of shopping local, and we consider it a huge bonus if you can save money while also supporting your community. 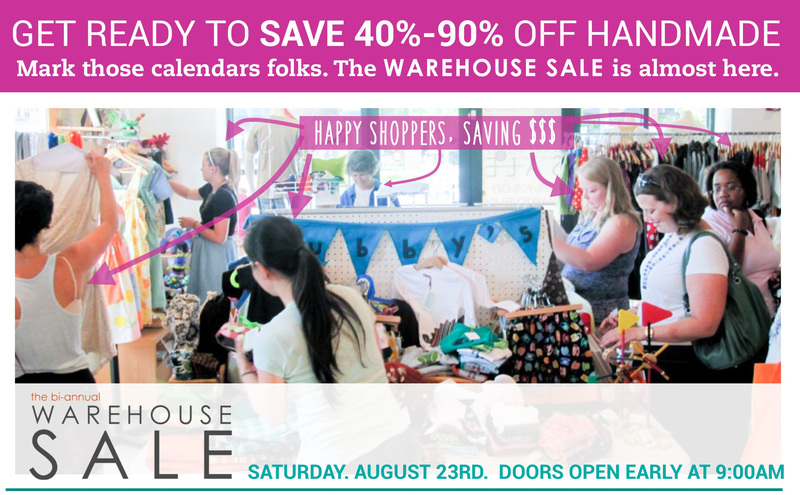 This Saturday kicks off the nine-day Warehouse Sale at the beehive, an independent designer showcase in Edgewood. Shop early and shop often–early birds on Saturday will be rewarded with Wanderlust Cold Brew Coffee and Revolution Donuts, plus first pick of all the 40%-90% off goodies. But late sleepers don’t fret, vendors will restock throughout the week! 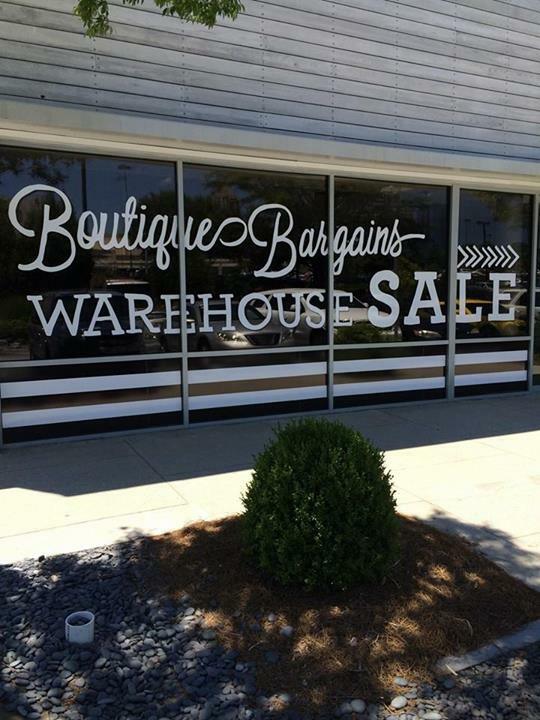 Stock up on apparel, jewelry, housewares, gift items and more from over 50 local vendors. If you’re a crafty-type person, you’ll be able to scoop up discounted DIY supplies. Check out a full list of vendors and details here. Shop the extended kickoff Saturday from 9am till 7pm, or stop by during normal business hours (11:00am – 7:00pm, M-Sat; Noon – 5:00pm, Sunday). The sale ends on August 31. It’s the season of the end-of-summer clearance, and K-la is pulling out all the stops. 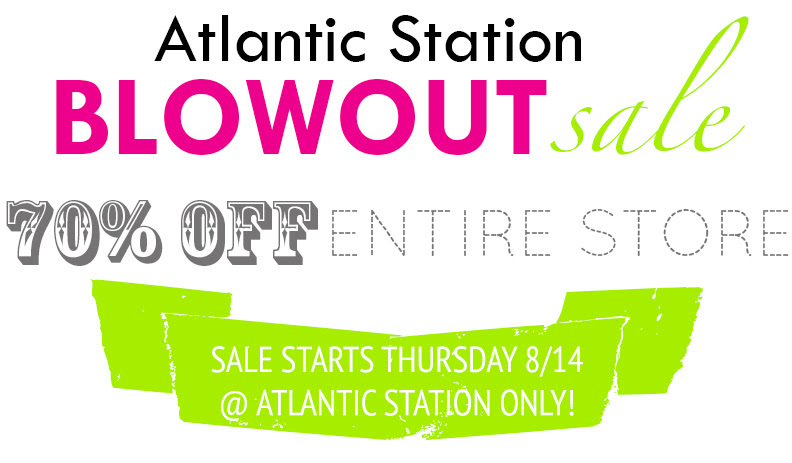 Everything at their Atlantic Station location is 70% off, from tops to bottoms to dresses to…well, all of it. Sale starts today, and it’s probably a smart idea to get down there before the goodies are gone. We’ve all experienced that what-to-wear panic…there’s an event coming, we’ve known about it for weeks, and yet we’re still frantically crawling the mall at the last minute looking for something to wear. Because nothing in the closet looks “right.” But neither does anything on the racks. This time, it’s because the holidays are here, and we’re not the only ones who need something for a holiday party. 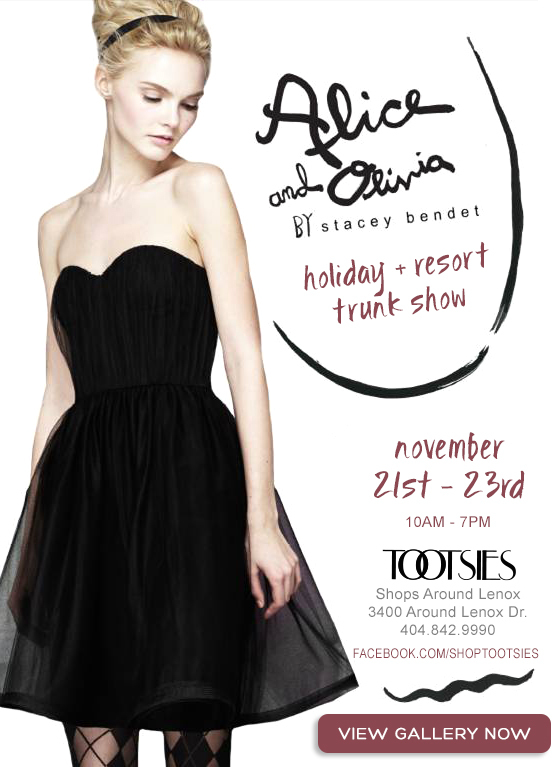 Tootsies is hosting an Alice + Olivia trunk show. If you’re not already familiar, you may need the full disclosure that we’re kind of fans here. But truly, Stacey Bendet’s dresses are the ultimate effortless chic. Statement dresses that don’t scream “look at me, I’m a statement dress!” Mostly because of flattering cuts and subtly glamorous materials. Stop by Tootsies at the Shops Around Lenox Nov 21-23 during regular business hours to shop the hottest holiday dresses, and find something that suits you. (And avoid the overcrowded mall entirely.) Because you already have enough stress in your life. -Alice + Olivia Trunk Show at Tootsies. 3400 Around Lenox Dr. November 21-23. Don’t you wish someone would make a brick-and-mortar Etsy-style store that has great holiday gifts for everyone? On Friday, your wish comes true: the Indie Craft Experience is popping up in Candler Park from Nov. 15-Dec. 30, giving you items from more than 50 vendors to fill your holiday wish list. Think: jewelry, home goods, art, paper goods, bath and beauty, food and even goodies for pets (. Stop by for the launch party between 7-9pm on Friday and get a bag ‘o swag if you’re one of the first 100 people in the door.